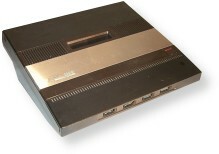 In 1982, Atari introduced the Atari 5200 to the gaming public. The originally planned sequel to the 5200 was a system called the 3200, but development was halted on it as being too difficult to develop for. Atari decided to produce a game system based on its line of 8-bit computers, which also happened to be fairly decent at playing games. 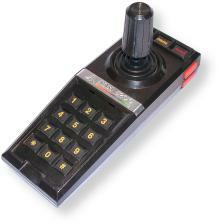 Games could be ported very easily from the Atari 400/800 to the Atari 5200, and many were (especially in later years). The biggest hardware difference between the 5200 and 8-bit computers was the inclusion of an analog joystick with the 5200. This controller allowed a full 360 degrees of movement, but unfortunately it was not self-centering. This made it very difficult to play many games, such as Pac-Man. In addition, the controllers were prone to failure, making it very difficult these days to find a 5200 system with working controllers. Several third-party vendors (most notably Wico) did release better controllers and devices that allowed use of 9-pin 2600 compatible joysticks. The 5200 probably has a higher percentage of quality games for it than any other system at the time (or even the present!) Unfortunately, the 5200 also had a short life due to the infamous game crash of 1984. There are quite a few excellent prototype titles that were probably very close to being released, but never made it to market. Today you can play these games through emulation and even on a 5200 console thanks to Sean Kelley's Multicart. The 5200 is a great system to collect for, not only because there are many excellent games for it, but also because it's one of the systems where all the released games can be obtained. And there also seem to be many prototype carts floating around, probably due to the large number of titles under development when the market crashed.